Honour Village Cambodia (HVC) is a Cambodian-based community project near Siem Reap, Cambodia. HVC is a registered charity in the UK and in Germany, and a registered NGO in Cambodia. HVC offers schooling, extracurricular activity for the local community, specialist support for vulnerable children, and assistance with community development in local villages. HVC works with the community to create opportunities for change through education and supports the development of the local area, by offering education in both Khmer and English to the adjacent village children; support for children who are returning to their families and villages; and paid employment in the region, with over 17 Khmer national staff. HVC only pays nationals: all volunteers, trustees, and non-Khmer team members are self-supporting. Previously a residential Home for over 50 children, who have all now successfully been repatriated with family and carers together with a small local group home under the careful supervision of social workers, Honour Village Cambodia now offers education to over 500 children from surrounding villages. They come to learn Khmer and English with basic maths and also enjoy sports, learning through play sessions, spontaneous play and occasional arts and crafts. Parents who are able make a minimal contribution towards expenses, whilst those who cannot send their children free of charge. This education is in addition to their regular enrolment at government-run primary and secondary schools. HVC is 100% funded by donations and supporters and welcomes any level of support. 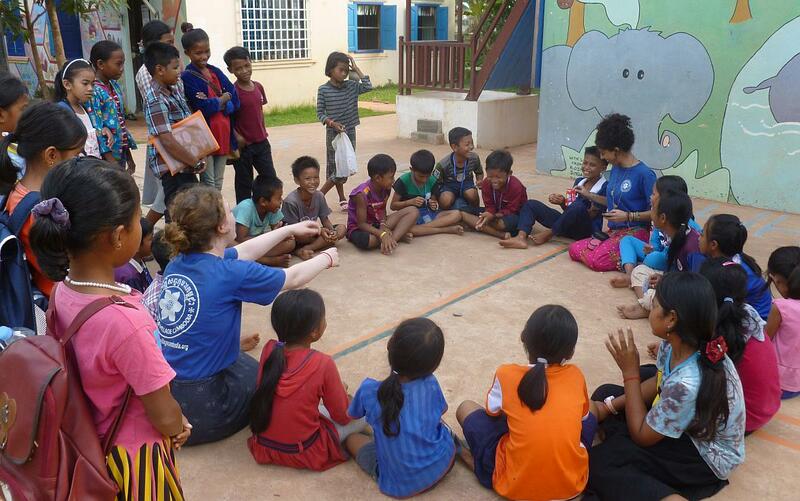 We work with selected groups and organisations, both inside Cambodia and outside, who provide skilled volunteers as well as support in activities and specific areas of expertise. HVC is a member of ConCERT, a not-for-profit social enterprise based in Siem Reap, Cambodia, which works to maximise the benefits from tourism and travel of all kinds for the most vulnerable people in Cambodia. Read more about ConCERT here. HVC has benefited from voluntary input from Accounting for International Development (AfID) for a number of years. AfID provides annual support, including volunteer accountancy input, checks and advice regarding finance, accountancy, budgeting, and cash handling together with systems that give Honour Village Cambodia staff the confidence to know their work maximises the use of all donations and sponsorship. The provision of an external, independent review also means our financial systems reflect the HVC logo of "Truth, Transparency and Integrity". AfID supports a broad range of non-profit organisations globally through the provision of volunteer accountants, with assignments from 2 weeks to 12 months improving the financial management capacity of non-profit partners in more than 57 countries.